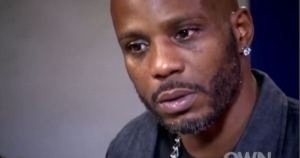 Rapper DMX has a bone to pick with Oprah Winfrey over his recent interview that aired on OWN. DMX says Oprah tricked him into talking about his drug addiction and now he wants revenge. DMX had a sit-down interview with Iyanla Vanzant on her show “Iyanla: Fix My Life,” where the rapper came off as unstable and strung out. Iyanla asked X about his drug use and he didn’t hold back. X says that he was tricked because Iyanla was supposed to ask him about addiction to women and that the questions about drugs were never cleared beforehand. “Iyanla set the whole thing up to make me look bad for ratings,” DMX said. X told TMZ that he’s already contacted his team to explore legal options and he wants the footage removed from OWN right away. No sympathy. None. You go on reality TV, don't be all shocked when they make you look like an idiot. Sssssoooooo… Was his obvious usage suppose to be a secret?